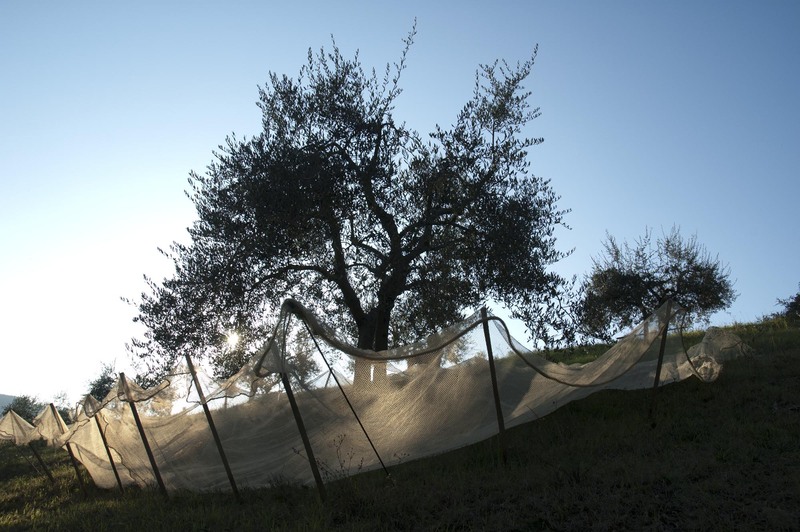 The olive groves occupy an area of about one and a half hectares for a total of about 400 trees (comprised of producing trees and new growth). This relatively contained area allows us to harvest the olives by hand in the traditional way, and to press them within 24 hours of completing the harvest for an optimum maturation. Simply put, the secret is in uniting tradition with the techniques of cold pressing and decanting without filtration in order to obtain a product capable of bringing back the distinctive flavours and scents of this corner of Tuscany. 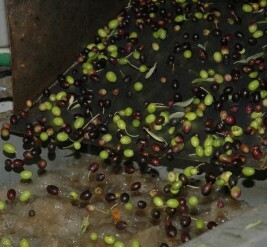 The blend of olive varieties is traditional: Correggiolo forms the base; Leccino guarantees a high resistance to frost in the tougher years and gives the oil a delicate, rounded note; Moraiolo is characterized by a smaller and less consistent production but it is absolutely necessary for the bitter fruit and spicy notes it gives the oil. And finally, there are the beautiful Pendolino olive trees, which resemble weeping willows. They’re few in number but are indispensable by virtue of their function as pollinators. 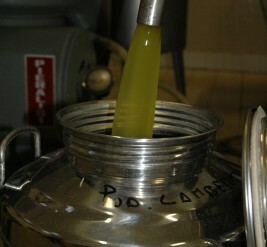 Podere Lamberto’s Extra Virgin Olive Oil is available in the classic, square bottle of either 375 or 750 ml capacity. You’ll be able to sample it in our traditional cuisine and, if you wish, you can buy it either directly from the farm or order it over the phone or on the Internet.